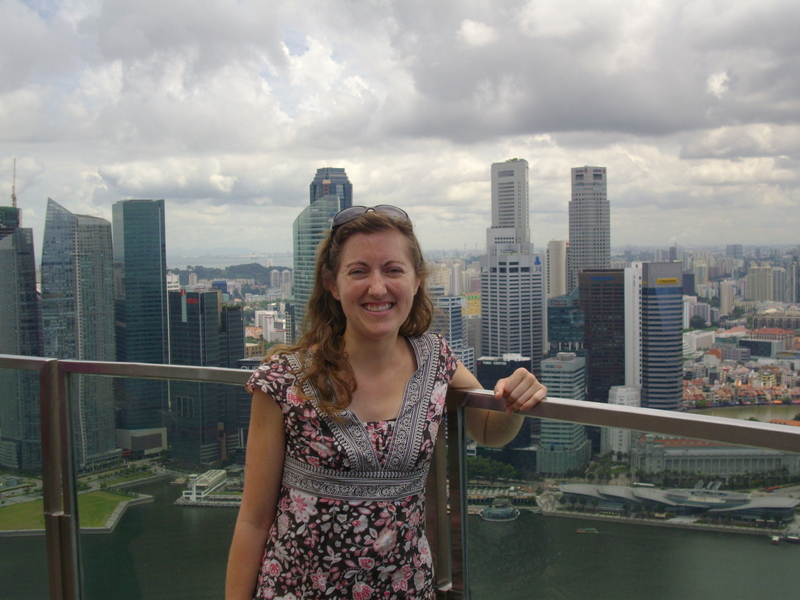 I had to work a little harder to come up with fun stories or interesting observations from my time in Singapore because, well, I felt pretty comfortable there since it’s pretty western. It’s a very modern city/country/island and reminded me a lot of London or Sydney since there’s so much British influence. 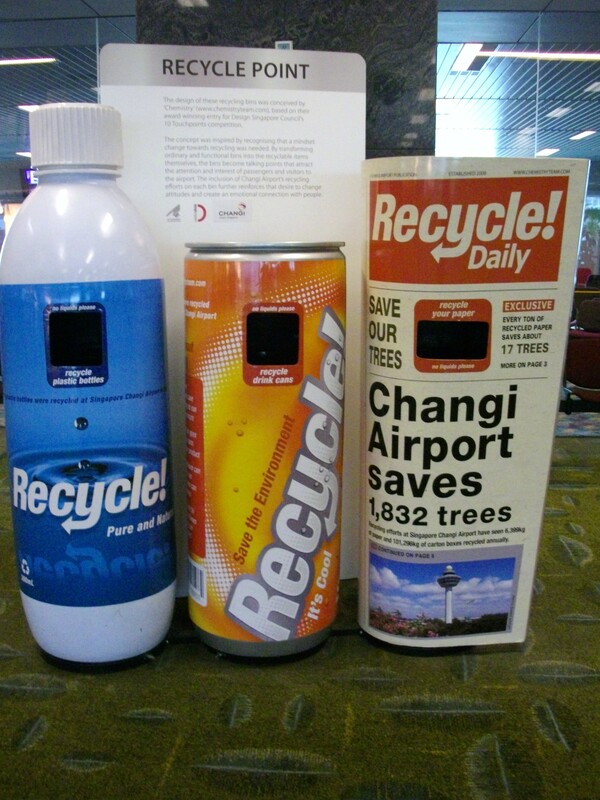 I definitely experienced a bit of culture shock when I flew from Phnom Penh to Singapore and saw this recycling display in the airport. There is recycling in Cambodia, but their methods of collection are pretty different. Another form of culture shock came when I saw the prices of things. 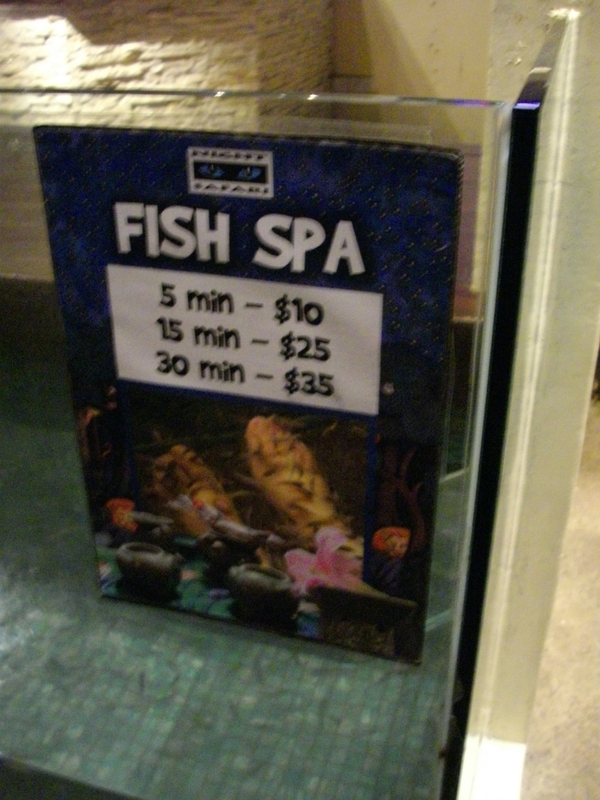 We paid $2 for an unlimited amount of time for the fish massage in Cambodia. It was really fun to hang out with my cousin (ok, technically she’s my second cousin, but we grew up in the same town, so she feels like a first cousin) and her family on the other side of the world. It was great to reminisce about growing up in New Wilmington, PA and the quirks and fun of having lived in such a small town. The Night Safari next to the Singapore Zoo was really fun and unique. I got to see wolves howling in unison. It was pretty funny to see raccoons on display as a novelty (since I just had to go outside on trash night to see a raccoon in person when I was little!). 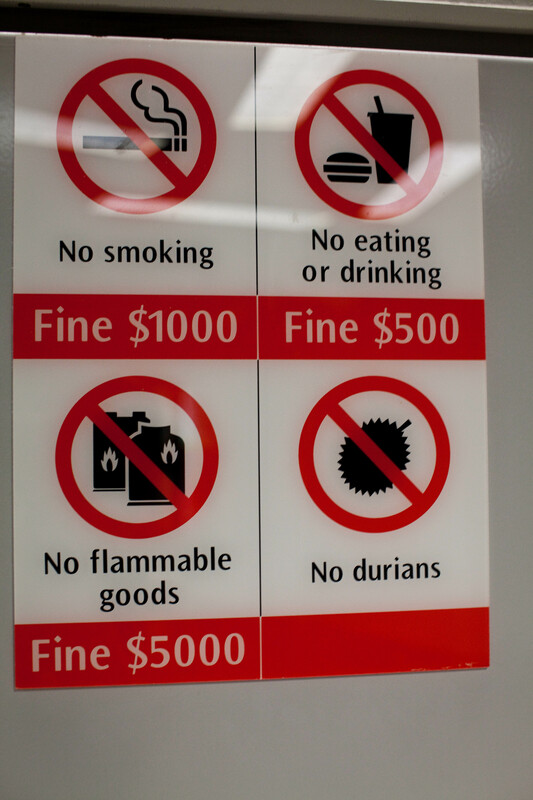 Singapore is very orderly, clean, and organized. My cousin had an app on her phone to request a taxi. The taxi was pretty much waiting for us at the curb when we got off the elevator from four floors up. They have signs in the buses and subways that tell people to be polite and give up seats for elderly and pregnant passengers. I was on one bus where the bus driver stopped the bus to ask people to move and get up for an elderly passenger. Singaporeans are very hard-working people. The morning I went to catch the bus to Malaysia, I looked a bit like a backpacker. It felt like the song “One of These Things is Not Like the Other” from Sesame Street as I stood there surrounded by a bus full of businessmen and businesswomen dressed up for work. 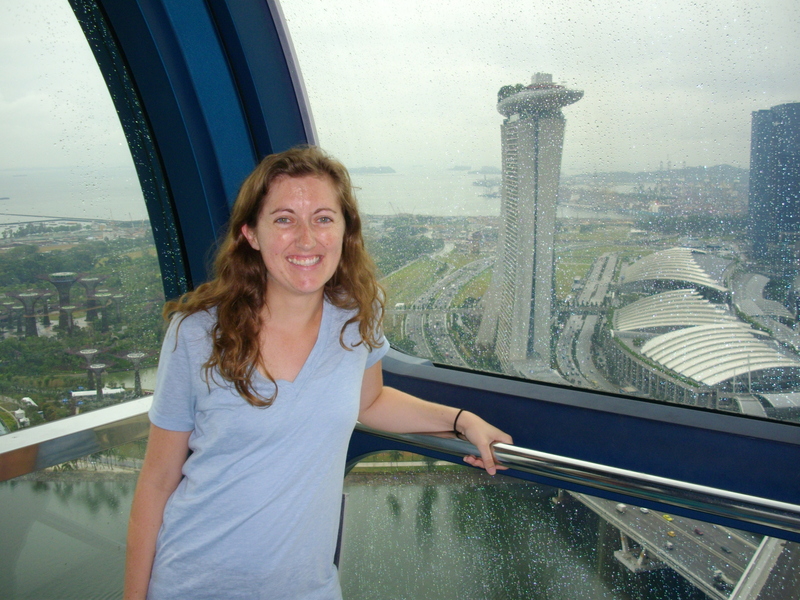 I rode on the Singapore Flyer (their version of the London Eye) on a rainy day and enjoyed seeing the very unique Marina Bay Sands Hotel and Casino (three towers with a “ship” on top) from a different angle. Stay tuned for some more posts of what I’ve been up to lately and many posts of pictures of my adventures from the fancy camera!